Make sure you click through each of these sites to see all of their unique Prize Packages for the event! I'd love either package! Hard to pick a favorite :). Thanks for the giveaway! From Cool Gear I love all their hydration bottles but I NEED the Desktop Coffee Mug! From picnicbaskets.com I like the Metro Collapsible Picnic Basket - Red. Very trendy! I love Oregon Scientific! Great stuff (and I'm from Oregon so what could be better?) --would love to have a Professional Weather Center Bundle! Would be fun here in Colorado with our weird and wild weather and it just, well, looks cool! #1- I love them both but I'd love to win the grilling package for my fiancee! Both packages are awesome, but I would love #2! Thanks for the giveaway! Two great prizes but I'll go for #2. Prize pack 2 would be my choice. Thanks for the chance. Both are great prize packages. I'd be thrilled to win either one! I'm all about the grilling. I'd like to have #1. I would love to win the grilling prize pack! Both please! If I had to choose, I'd say #1. I like Think Geek's The story of you baby keepsake book. I like Think Cool's Stay Fit deluxe salad kit. I think I would like prize pack #2 but either would be nice. Both of the packages look amazing, but if I had to choose I would go with prize #2. My kids love to go on picnics and we have NO picnic gear! I would LOVE to WIN both....PLEASE? I know I can't win both, but I would really appreciate winning the "Prize 2: Picnicbaskets.com, Cool Gear, and Think Geek." Thank you so much for this giveaway, I appreciate it! I like the "Petri Dish Plush Giant Microbes" at Think Geek! I like the "Desktop mug 12oz with band" from Cool Gear. I would LOVE to own one of these cool mugs! I LOVE the "Picnic Time Sunshine Blanket - Item #: 637-00" at Picnicbaskets.com. I would LOVE to own this nice blanket! I would like to try to make the "Hawaiian Pork Chops" from Country Bob's website. I would like to have the "Oregon Scientific Model# SE331." Do I have to choose? I love them both! :) Maybe #2, though?? I would like to get my husband the "18" Wood Handle Oversized Head (Patented)" from Mr. BBQ. I like both so I am good with either.. thanks! Either would be great for me! I would love either, but #2 is my first pick. I like the Jedi robe from think geek. Either! :) Not picky here. Prize Pack 2 is my choice. I would be happy with either one but Prize 1 sounds the best to me. Both packages look great but if I had to choose I would choose #2. I like the origami post it notes from Think Geek. I like the deluxe salad kit. I like the Sutherland Jubilee Picnic Basket for 2. I like the Mr. Bar-B-Q Sauce And Bean Pot. Sonic Bomb Alarm Clock with Bed Shaker from thinkgeek! The Rigid bottle from Cool Gear. Sutherland Tahoe Picnic Duffel for 4 from Picnicbaskets.com ! I would like to win the second prize package. Like them both but prefer #1. Prize package #2 is my favorite because I'm addicted to Think Geek. But #1 would definitely come in handy in my house - 4 kids + 1 hubby = empty cupboards! I really, really, really want the last grain of sand from the NeverEnding Story -- the Crystal Cube Firejewel Necklace! So amazing! I think that Cool Gear's Snacktime Container would come in so handy on long car rides. My 3 younger kids really need one - EACH! I think the Picnic Time Carnival Cutting Board has the bright colors and functionality that I NEED, and I would love to have it in my kitchen ... or my RV. I love Oregon Scientific's Gaiam Natural Wooden Aroma Diffuser. I can definitely see it sitting in my home. I would be happy with either package, though if forced to choose I would pick #1. I think I'd pick #1.
from think geek, i like the bazinga hoodie. great show. the sardine can kit is pretty cool too. I also like the Frabjous Sculpture Puzzle. I like the Frabjous Sculpture puzzle from ThinkGeek. Prize # 2...but would be thrilled with either one! I'd love either! Thanks for the giveaway! I would love the BBQ package. I love the stayfit salad kit! I like the metro collapsible picnic baskets! I love the waterproof action camera! I like the grill stone pizza set! Id love to win prize package #1! Either would be great of course :) Sara.Anderson@live.com Thanks! I'd love to win either but my first choice is prize pack #1. Thanks. At Think Geek I like the Pivot Power - Articulated Power Strip. At Cool Gear I like the soup 2 go container. At Picnicbaskets.com I like the Metro Collapsible Picnic Basket - Pink Geo. 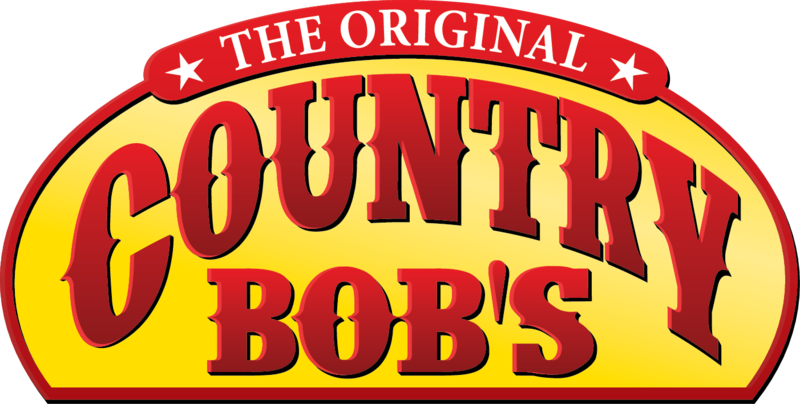 I would like to try Country Bob's Spicy All Purpose Sauce. From Oregon Scientific I like the Advanced Rainbow Clock. From Mr. Bar BQ I like the 18 Piece Finger Grip/ Rubber Grip Deluxe Tool Set with Carrying Case. From Simply Potatoes I would like to try the Ranch Seasoned Wedges. Im really happy with either package - i love any kind of potato and think geek has some of the coolest stuff! The bath goo from think geek is cool! My 3 yer old loves it! I'd like to win Prize 2. Both packages sound like fun, but if I had to pick I think I'd choose grilling.